Yesterday was Day 1 of the main event. I got to the venue, bright and early, and helped myself to a great selection of bakery items. Also, didn’t forget to fill me up with lots of caffeine, which I so desperately needed. I’ve only attended VMworld in Barcelona so not sure if the US version is better but I’ve always found ample amount of food and drinks available here. Staff is also very enthusiastic, friendly and helpful. After breakfast, the wait started to get into the hall for the General Session. Fortunately, I got a front seat (which was extremely handy for live tweeting) and at 09:00 AM, it all started. A lot of the announcements in the session were a repeat of the US session, continuing with the theme “Ready for Any” so I am sure you know about those ones already. However, first order of the day was the acquisition news: Carl Eschenbach confirmed EMC’s acquisition by Dell, which was followed shortly by a quick video message by Michael Dell. 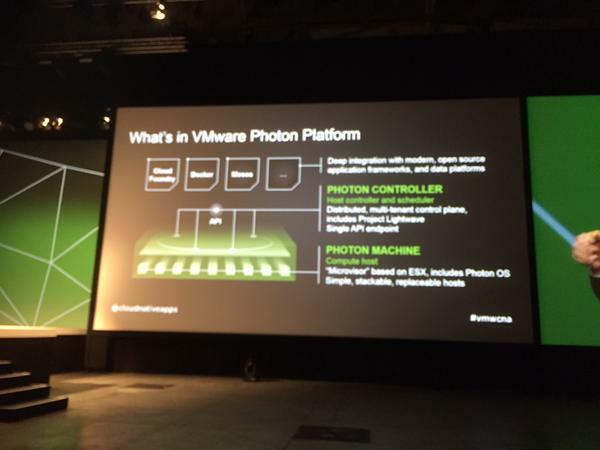 After that, Carl gave the assurance to attendees that innovation at VMware will continue in the same fashion and for all intents and purposes, it was business as usual. And that was that! 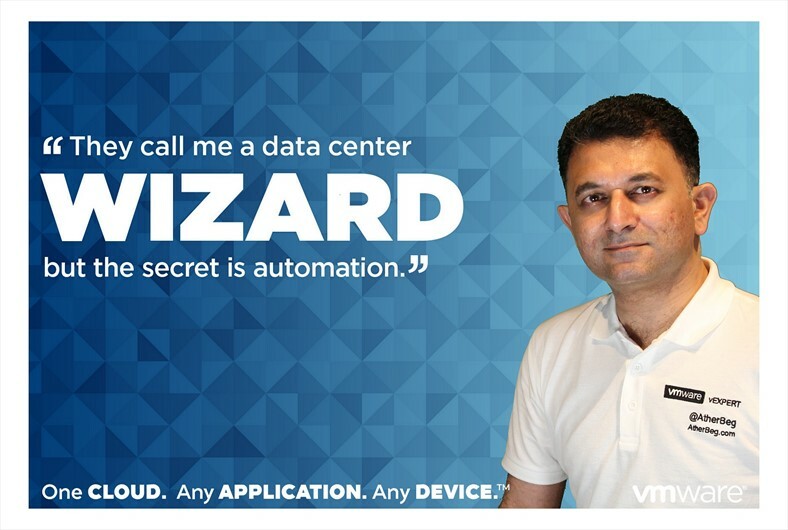 My focus is primarily on vRealize Automation these days so I was quite excited about the first one. I am on the beta program for it so it wasn’t actually new to me but now it has been officially announced. 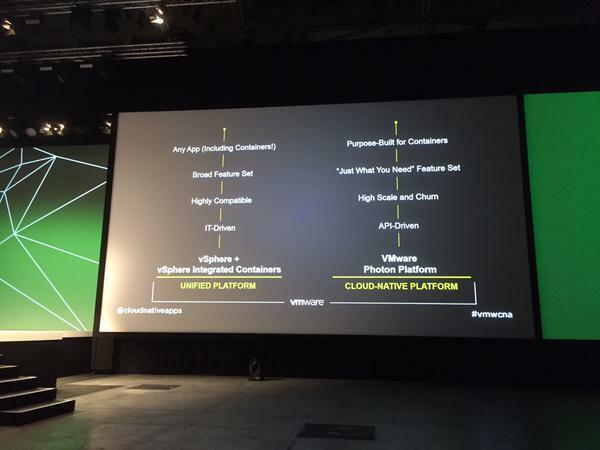 There are many new features in the next version but I am particularly excited about the new “Converged Blueprint” environment, simplified architecture, greatly enhanced machine state change mechanisms and mostly automated deployment of the product. I originally had no sessions planned immediately after the keynote but late on Monday, Jad El-Zein arranged for a special vRA.Next (or 7) session for vExperts. Needless to say, I had to attend that. It was a great session and he talked in detail about the various new options that will be eventually available upon release. I think the new version will be great and I can’t wait for it to go GA (General Availability). After attending that session, I went straight to vGiveBack as I missed it yesterday. If you don’t know, it’s an initiative by VMware Foundation and is supporting four causes this year: Health, Children, Education and Environment. So, if you’re here, visit them, select your favourite cause and get a picture taken underneath the poster. If not, make sure you visit them whenever you attend and hopefully, it will result in a sizable donation to the cause of your choice, which would be great. Didn’t realize initially but it was already lunch time. As I said at the start, food at VMworld is usually very good and I’ve noticed that this year, it’s even better. Never thought I would have Sushi on the menu but there it was! After refueling, it was time to explore further. They say that good lighting can make anyone look good and I guess they’re right! I am sure I’ve mentioned in an earlier post that “Solutions Exchange” is well worth visiting. So many vendors are present there, giving you great choice to use in your solutions. While we are usually well familiar with big vendor offerings, it’s very interesting to find that smaller companies also have very innovative products. Sometimes, you return to the next VMworld and find that they’ve moved to a bigger stall. I always try to visit most of them every time. “@amf_Luca: #popuptechtalks #SolidFire #AmerigoFilm #Vmworld 2015 https://t.co/x8raOdddqC” < thank you @AtherBeg! Afternoon was all about visiting the Solutions Exchange and attending my booked sessions. Both sessions were great and the latter was actually an interactive question/answer session, which are typically quite enjoyable. I highly-recommend you include that in your daily session diet, whenever visiting. Typically on day 1, Solutions Exchange area also hosts a “Welcome Reception” late in the afternoon. I hope you guessed it but plenty of drinks and finger food is served on the occasion. Again, it’s another nice touch and I am sure vendors also enjoy a little bit of relaxation, after a hectic day of talking. Monday was a long day and I started early yesterday too. That meant feeling quite tired by the evening so no parties for me yesterday. Upside of that was that I relaxed a little and caught up with a few things. Like yesterday, I plan to live-tweet today’s General Session as well. There will be more keynotes and will be wrapped up with the final one by Pat Gelsinger. I also plan to spend a bit more time at the Solutions Exchange today. 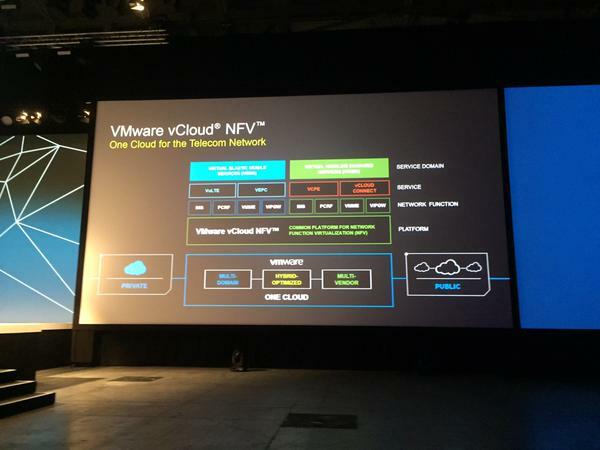 Looking forward to another exciting day at VMworld! Great article (like your writing style)! Cheers! The update for yesterday is out too. Have a look!